If you’re like us, you’ve only just gotten used to your iPhone 7’s headphone jack-free weirdness. Now, new iPhone rumors reveal Apple may be adding another update to keep us on our toes and information at our fingertips: the iPhone 8 may have a bevel-free home button. 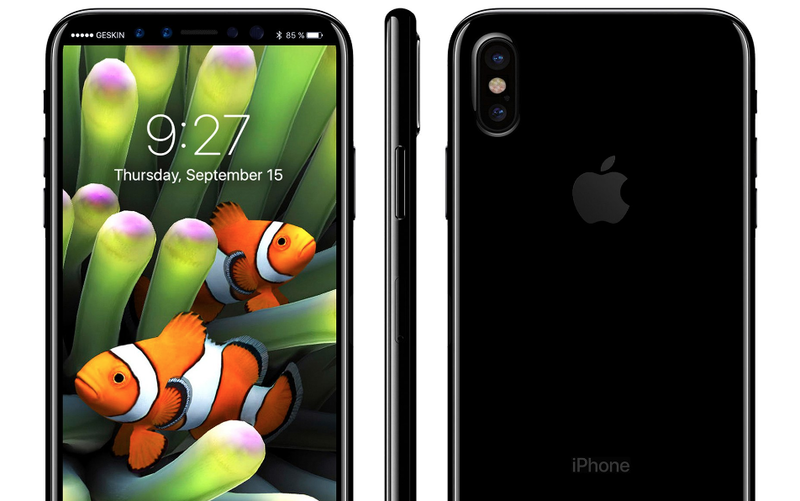 Apple supply chain analysts have been speculating for months about what the newest generation phone’s design features will possibly entail. From glass casing to wireless charging to a phone that floats in water, it seems as if experts have more ideas than space on their phones to store them all. But it’s looking like the deletion of the device’s home button might actually be true. According to tech experts, including the renowned Apple product picker Ming-Cho Kuo, we can all soon give our fingers a break from pushing a button and instead gently rest our fingertips on the “function area,” a 0.65 inch swath of screen found at the bottom of the (again, rumored) OLED display. Employing AI and VR technology, the function area will likely integrate Touch ID, a display-embedded fingerprint sensor, as well as music and video controls and app-specific buttons. But if you’re hoping to get a taste of Apple’s latest technological innovation, you better start socking away cash now ahead of its highly anticipated fall release. According to Business Insider, consumers of Apple’s 10th anniversary iPhone predict a price tag of between $850 and $900 for an entry level 64GB model. So, use your iPhone 7 calculator app to add up those dollar bills, y’all! Ah, technology is a beautiful thing!